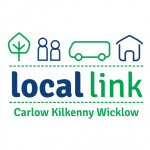 Fare between Lidl and Wicklow Gaol is €1 single. Other trips: €3 adult single and €2 under-16 single. To download this timetable, click HERE. Download the timetable as a single page poster: HERE.